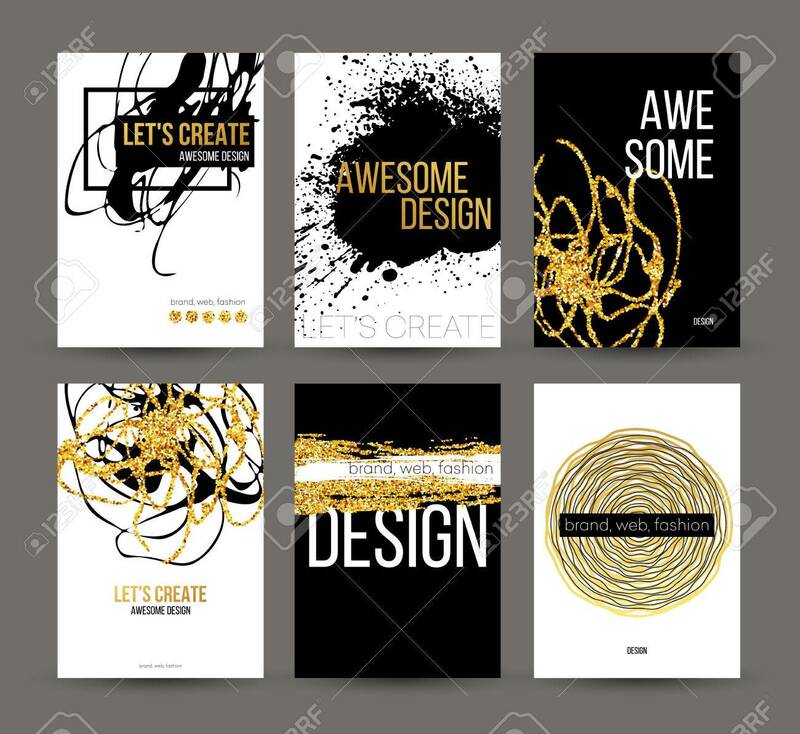 A Set Of Brochures With Golden Hand-drawn Design Elements. Vector.. Royalty Free Cliparts, Vectors, And Stock Illustration. Image 54302447.